1. 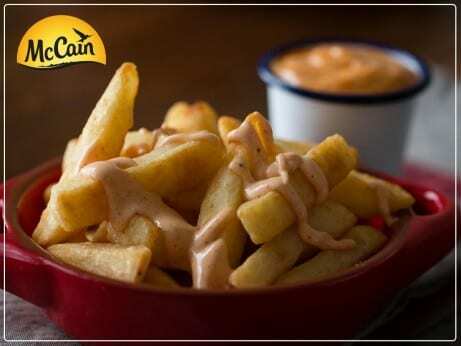 McCain Beer Batter Chips Chunky cooked and topped with a tapas style sauce! 3. Combine mayonnaise, hot sauce, paprika, salt, garlic powder and lemon juice in a small bowl and whisk until smooth and creamy. 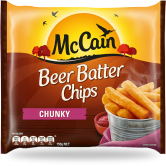 1 McCain Beer Batter Chips Chunky cooked and topped with a tapas style sauce! 3 Combine mayonnaise, hot sauce, paprika, salt, garlic powder and lemon juice in a small bowl and whisk until smooth and creamy.